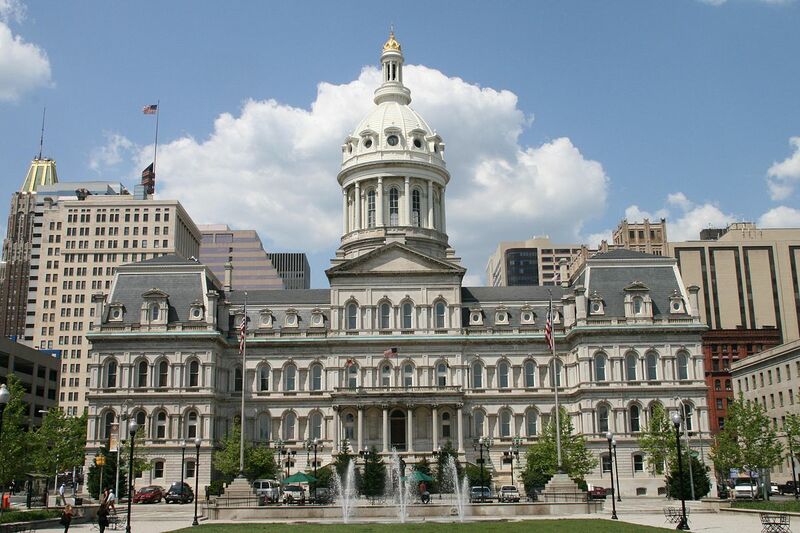 On January 30th, the Land Use & Transportation Committee of the Baltimore City Council voted 7-0 on the Clean Air Act Bill (Council Bill 18-0306) that could close the Wheelabrator garbage incinerator, called BRESCO, in downtown Baltimore, and have wide implications for solid waste management policies and programs in the city. Committee Chairman Ed Reisinger ran a highly dignified and orderly meeting with a potentially contentious audience of conflicting speakers from the Wheelabrator corporation, government agencies, BRESCO blue collar workers, community activists, health advocates and ordinary citizens. There were two improper shout outs from citizen supporters of the bill from the upper gallery of the chamber. One supporter of the bill tried the patience of Chairman Reisinger when he continued to talk after the 3-minute time allowed for each speaker. Reisinger strictly enforced the rule for all speakers. The audience of about 150 people was clearly bifurcated. Scores of BRESCO workers and several executives occupied the first level of seats available on a first come first serve basis. Citizen groups were seated in the overflow gallery. Poignant statements by each member of the committee capped off the meeting as they explained their vote to the BRESCO workers. The meeting lasted for over 2 hours as proponents first explained what the law would do. The focus of the law is to require the garbage incinerator to reduce NOx emissions from the current level of 160 to 45 ppm. State law requires 150 ppm. But the Bill uses the best available control technology for plants, which is 45 ppm. Other provisions call for constant monitoring, emissions posted on a web page daily, and monitoring of many more elements than is currently required by Maryland law. Jim Connolly, Wheelabrator’s vice president of environmental health and safety made a very clear and direct statement. The plant would have to be closed if the bill were passed. The company would have to invest a large sum in pollution control equipment. (The Maryland Department of Energy estimated the cost at $70 million, plus $11 million a year for operational costs.) Connolly explained that the only plant in the country that can meet the standards is brand new. Wheelabrator would have to replace the facility with a new plant. The company already has plans to reduce it NOx by 25% in the near future and is researching how to further cut emissions. Other Wheelabrator executives were not so straightforward. The legal spokesman proclaimed that the bill would be overthrown because the city does not have the authority to have air pollution limits more stringent than state requirements. Mike Ewall, an attorney and director of the Energy Justice Network (EJN), and the principal author of the bill, pointed out that this was not true. Maryland is one of the states in the US that allows this authority to local jurisdictions. The City Law Department stated that the bill was perfectly legal and proper. Dante Swinton of EJN, who coordinated successful pilot projects proving that low-income residents will recycle at very high rates given incentives and proper carts, put it succinctly: “Compliance is not safety.” Current regulations are not enough to protect city residents from an array of health risks. EJN presented information about the environmental and health impacts of the BRESCO incinerator based on US EPA data. It releases 36% of all industrial air pollution in Baltimore, and more mercury, lead, chromium, hydrochloric acid, sulfur dioxides, and nitrogen oxides (NOx) than any other industrial polluter in the city. BRESCO is also responsible for a staggering 57% of the city’s industrial emissions of nitrogen oxides that trigger asthma attacks. Baltimore’s childhood asthma rate is twice the national average. In addition, according to EJN data, displayed on posters at a press conference just prior to the Council hearing, the cost of tens of thousands of asthma related emergency visits each year, missed work, and missed school attendance could cost the city over $150 million annually. A Wheelabrator environmental official and the company’s environmental consultant also did not add much to the City Council Committee hearing. They gave short presentations assuring the City Council that the incinerator emissions did not pose a health or environmental threat. They did not respond to the data presented or to the impacts that health experts and physicians indentified. Council Member Mary Pat Clarke pointed out that the proposed bill is consistent with the Council’s 2016 nonbinding Zero Waste Resolution to “advance sustainability, public health and job creation.” In January 2019, the Council passed another resolution to call for Maryland to support a proposal that would stop the Wheelabrator incinerator from receiving millions of dollars in green subsidies. The plant also produces the dangerous chemical dioxin, which attacks immune systems, causes birth defects, and concentrates in mothers’ breast milk. “If there were no incineration there would be no dioxin!”, stated Dr. Gwen Du Bois of Physicians for Social Responsibility. One citizen, a survivor of cancer caused by industrial pollution, pointed out that the emissions are even worse than reported because no one knows the impact when the chemicals are combined and released into the atmosphere. These risks were fully explored by city health agencies which supported the Bill. Medical doctors delineated the threat to people posed by the gasses, particulates, and chemicals emitted from the plant. Dr. Gwen Du Bois detailed the danger of mercury and lead, which can maim and kill even in tiny amounts. The BRESCO plant emits 52 lbs of mercury into the air and just under 200 lbs of lead annually. A young woman from Curtis Bay appealed to the City Council to protect people and give them a future. “Do your job!” Rodette Jones of the Filbert Street Garden in Curtis Bay explained the positive environmental, educational, and social impacts of youth involvement in planting trees and harvesting vegetables and fruits, operating a compost site, and starting a food waste collection enterprise that serves households and businesses. The garden is launching careers in this rapidly expanding sector of urban agriculture as a response to Baltimore’s “food deserts.” ILSR presented estimates based on detailed data from other cities on the benefits of just one effective program, unit pricing, were implemented: 40% reduction in overall waste, an increase in recycling by 80,000 tons per year, $4 million in savings and a net recycling cost of $20 per ton. The city is now paying $83 per ton to recycle. Teamsters Union representative Matteo Colombi was supportive of the bill, but insisted on a “just transition” for the 65 workers at BRESCO. They must be guaranteed comparable jobs, pay, and benefits as the incinerator gets phased out. 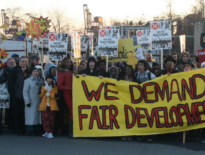 The workers’ stories were important to hear for both the City Council and the proponents of a bill that would close the plant and their livelihood. The climax of the evening came with the end of testimony from the public. The Committee voted on the bill. Each member explained his or her vote. They still had many questions about financial impacts, the costs of alternatives, and how current and future generations of Baltimoreans are going to be integrated in recycling and Zero Waste programs. Each Councilor explained why it was hard for them to vote for something that threatened good jobs at BRESCO, but that the greater good of the city’s environment and public health required their difficult vote to pass the bill. Council Member Sharon Green Middleton made the most emotional statement. She explained her vote was in the end based on her personal experience. He grandfather and father worked for decades at the Bethlehem Steel complex in Sparrow Point just outside the city in Baltimore County. They both died prematurely from industrial pollution. Her father-in-law also died from industrial pollution, suffering for 5 years until his early passing. Her blue-collar background made her empathy for the workers in the room obvious. Yet, knowing that both the workers and the general public will suffer from continued exposure to the emissions coming out of the plant, she had to vote with the rest of her colleagues on the committee. On February 4, the full City Council voted 12-1 to approve the Bill recommend by the Land Use and Transportation Committee. The final vote of the full City Council is scheduled for February 11. If the Bill becomes law, the entire future of waste and recycling in this city of 650,000 will fundamentally change. Proponents expect that this will trigger a movement to implement effective recycling, composting, and reuse programs, which they have been advocating for years as the first steps toward Zero Waste (90% of the waste stream diverted from landfill and incineration disposal).